A member of the mint family, skullcap, also known as skutellaria, earns its distinctive name from the helmet shape that covers the small flowers of the plant, much like a skullcap. These flowers vary in color, but are typically found in shades of pink and blue. This plant can be found growing most abundantly throughout North America and much of Europe. Back in the eighteenth century, skullcap was known as “mad dog weed” because it was often used to treat those that were suffering from the effects of rabies. The Native Americans also made use of this herb as a treatment for fevers and as a sedative or tranquilizer. In the herbal world today, these same benefits have been found, but there is a wider range of uses. Herbalists frequently use the leaves, flowers and stems to make skullcap tea, which can be used for a variety of different purposes. For 200 years skullcap tea has been used as a therapeutic relaxant that can help aid tension and feelings of anxiety. The soothing effects of this tea can ease the nervous system, helping to reduce muscle tension, paranoia, and feelings of uneasiness. These effects also make it useful for treating insomnia as well since its sedative effects can help relax the body both mentally and physically, allowing for an easier and more restful sleep. This also makes it beneficial for treating various symptoms of pre-menstrual syndrome as well. It also has an additional use of regulating blood pressure which can in turn reduce stress and anxiety as well. Skullcap tea has many cleansing properties to it as well. It works well as an anti-fungal, anti-viral, and anti-bacterial herbal remedy. It also has significant cleansing use as a result of the antioxidants and flavonoids present in it. These positive effects make it useful in fighting off many unwelcome infections and diseases. Another added benefit is gained from the antihistamine properties that are found in skullcap tea which make it effective for treating those that are suffering from allergies as well. While the exact scientific mechanism behind these promising uses of skullcap tea is not known at the moment, research is ongoing. In the 1990’s, research in China showed that the skullcap plant may be beneficial in treating cancer and allergies, so the search is still ongoing to find out the true benefits of this plant. It has also been shown in studies to have a potentially beneficial effect on strokes and heart disease. However further research is necessary to determine how this works and who it might work best for. Preparation: To prepare this tea, steep one tea bag in a cup of hot water for five to ten minutes or until the desired strength of tea is reached. Because the herb has a somewhat bitter taste, many like to enhance their tea with lemon and honey, or mixing in other herbs for a more pleasant blend. Two to three cups should be consumed daily as a remedy for any of these common problems. Pregnant or nursing women should consult with their doctor before trying skullcap therapy. Those that are currently on any medications should consult a doctor prior to using skullcap tea to avoid any unwanted interactions. These are only a few of the many ailments that skullcap can be used to treat. Studies have shown that this particular tea is also excellent for reducing inflammation, easing arthritis, offering allergy relief, relieving digestive problems, and more. If you are interested in purchasing skullcap tea it is most commonly found sold in specialty health food stores and from tea merchants online. When making purchases online it is important to ensure that you are purchasing from a high quality vendor that you can trust. 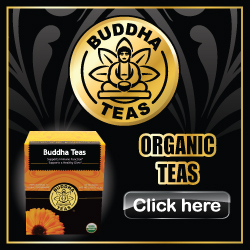 We highly recommend Buddha’s Teas as a reliable online store that can offer all natural, organic skull cap tea in tea bags that are free of bleach and other unwanted chemicals. This will allow you to enjoy skull cap tea in its most natural form, as nature intended. We sincerely hope that you have been able to find this article informational and able to answer any questions you may hold regarding this herbal tea, however for further inquiries please do not hesitate to contact us for additional information.